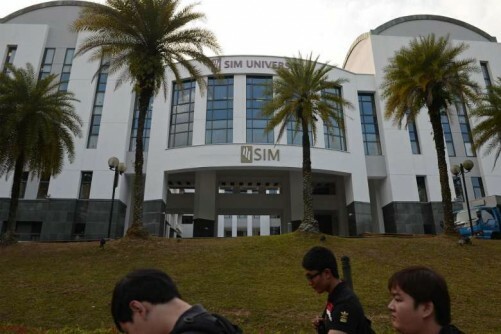 SINGAPORE - UniSIM has filled all 60 places in its two new law programmes after receiving 388 applications, the local private university said on Monday (Sept 26). The university hopes to plug a gap in Singapore's legal industry by offering programmes with a focus on training criminal and family lawyers. The UniSIM law curriculum will emphasise applied learning and will supplement its legal education with social work, sociology and criminology content. Many of the incoming students headed to Singapore's third law school already have previous work or educational experience under their belt, with an average of 11 years in the workforce. They come from the ranks of paralegals, law enforcement officers, court employees, teachers and social workers. The maiden cohort consists of 27 students with places in the Bachelor of Laws programme and another 33 with offers in the Juris Doctor programme. All applicants faced a four-member interview panel comprising senior lawyers and community leaders with law experience, such as Speaker of Parliament Halimah Yacob and former Senior Minister of State for Law and Home Affairs Ho Peng Kee. "Many of the applicants have compelling real-life experiences that persuaded the interviewers that they are serious about becoming criminal law practitioners and family lawyers," said UniSIM law dean Leslie Chew. "They are the kind of students with exactly the right background and disposition that we are looking for to meet the increasing social need for such lawyers in Singapore." Note: This story has been edited for clarity.